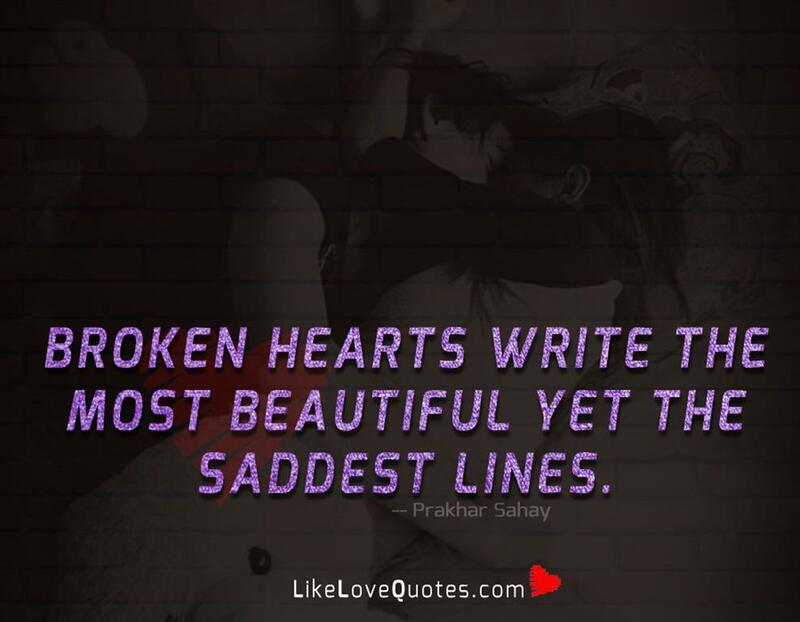 Broken hearts write the most beautiful yet the saddest lines. -Prakhar Sahay. Read: How Do I Get Over A Broken Heart?